Mortgage refinancing offers substantial financial benefits to homeowners. Typically, property owners choose to refinance to take advantage of lower rates, to pay off existing mortgage and get another loan, or to reduce the amount of monthly payments. Currently, the Los Angeles real estate market is on the rise, and the opportunities to refinance thrive as the housing market improves. Knowing that refinancing can be baffling and time-consuming, here’s a step-by-step procedure to help ease the process for you. Step 1: Prepare all necessary financial documents. Mortgage lenders will request you to provide essential paperwork including your current pay stub, savings and investment information, personal tax returns, recent mortgage statement, homeowners insurance declaration page and bankruptcy papers, if available. These documentations are necessary so potential lenders can confirm whether prospective applicants are capable of paying back the loan. By having these documents prepared beforehand, the application process can be much faster. Having a good credit score will help you get ideal loan pricing options and will also help speed up the approval process. Make sure to see what’s in your credit report before applying for refinancing, and correct any errors or inaccuracies. You need to save up to show that you have sufficient cash on hand after refinancing your loan. Depending on the requirements of the loan program, you may have to show a cash reserve tantamount to up to three months of mortgage payments. The higher the cash reserve, the higher your chances of loan approval. Step 4: Determine what type of loan you need. Ask yourself: Why do I need a new mortgage? You should identify your exact purposes and goals so you can choose the right loan for your needs. Inform your lender about the amount you really need and how long it would take to pay off the loan. Take the time to think about the offer before signing any contract. Step 5: Shop around and compare lenders. It’s always a good idea to do comparison shopping before making a final decision. It’s best to find credible lenders that you can fully trust, and see which ones offer the best rates. You could begin with your current lender, and then consult other potential lenders. You may want to seek help from an experienced Los Angeles real estate agent since most real estate agents have useful information about mortgage companies. You can also scour the Internet, check the local newspaper and magazines, or hire a mortgage broker who will do the search for you. Keep in mind that aside from low rates, quality service is very important. You have to be sure that your chosen lender is honest, reliable, fast and friendly. Once you’ve picked the best lender around, it’s time to send a formal application and discuss terms with your account manager. In this comes the importance of all the financial records you’ve prepared. The more complete and accurate your documents are, the faster the process. Don’t forget to inform your current financial institution about the refinancing. Find out if there’s an early repayment penalty which is incurred when you repay a loan ahead of schedule. Step 7. Close the deal. 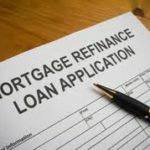 After you’ve provided all essential documentation to process the loan, the rest of the refinance procedure is straightforward and less complex. Lock in the terms, and pay the closing costs. You may have an attorney check the terms to make sure everything is reasonable. Compared to a traditional loan, closing a refinance loan is far less complicated. From this point on, you’ll most likely be on your way to a successful mortgage refinance. If you’ve decided to apply for a refinance, a Los Angeles real estate agent from Real Estate Unlimited Agency can help you out. Our friendly specialists will guide you with the process and help you reach a more informed financial decision. Call us today at (213) 375-8733, or contact us here, and we’ll be more than happy to answer your queries.